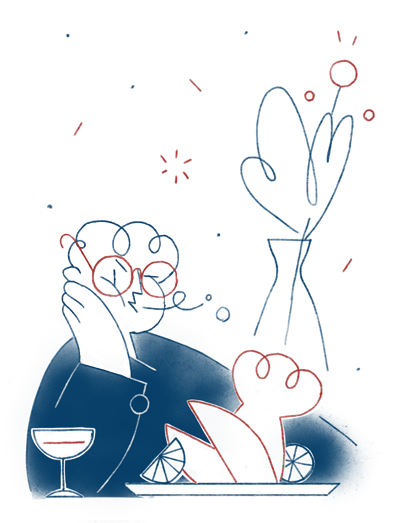 An email popped up in my inbox last week from The Welcome Conference – a brilliant annual gathering of hospitality folk in New York that was founded by Will Guidara of Eleven Madison Park and Anthony Rudolf – announcing the date and line-up of inspirational speakers for the June event. This year’s conference is focused on restoration. In their email, the organisers say that this is “at the very root of what we do in our restaurants each night.” That comment reminded me exactly what going to a restaurant should be all about – being made to feel special and ‘restored’ through food, drink and hospitality. French, Nordic, Asian… and now Peruvian! 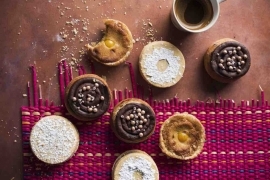 The latest bakery to arrive in London comes from Andean expert Martin Morales. Situated on Westbourne Grove and due to open next month, Andina Panaderia will be led by Andina’s head pastry chef Ana Velasquez, with sweet and savoury bakes, along with brunch and lunch dishes. It’ll sit next to a new restaurant, Andina Picanteria, and both will showcase Peruvian crafts as well as food. 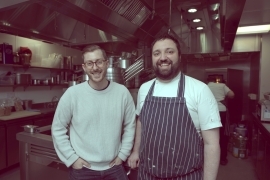 The restaurant inside the just-opened Principal Hotel in Bloomsbury is starting strong – Sam Jewell (left) and Phil Kendall have been appointed as GM and head chef respectively of Neptune. Jewell was most recently at Mark’s Club and Heddon Street Kitchen; Kendall has cooked at The Stafford, Ham Yard hotel and the Zetter. 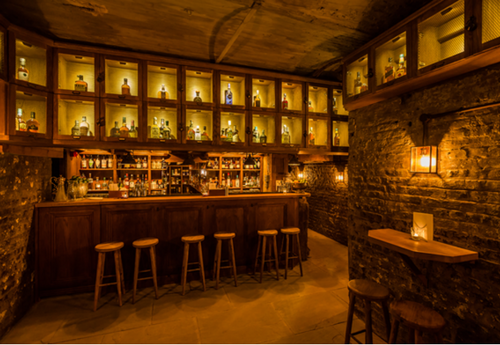 Also opening today is Fitz’s bar in the hotel, an opulent bar headed by Sean Fennelly, ex-Milk & Honey. The big Leon on Shaftesbury Avenue is the location for a first foray into a new launch for the healthy fast-food operators, headed by John Vincent. Tuk Shop, opening in spring, will sell grab-and-go Thai dishes – and has partnered with Thai fast-food name Aylmer Aaharn (founded by David Thompson, the don of Thai food). Curries, noodle and rice dishes and salads are promised. A modern take on Polish classics is the concept of a new eastern European restaurant from chef Damian Wawrzyniak, French-trained, and with stints in Pakistan and at Noma under his belt. He takes over an existing site named Jan in Clapham – and his own concept opens in May. Tonight sees the inaugural Golden Chopstick Awards in London. The event, aimed at celebrating Britain’s Asian food culture, will be hosted by Gok Wan. Big names like Fuchsia Dunlop, Ken Hom and Jeremy Pang are involved as judges and more than 5,000 votes have been cast – CODE will be interested to see the winners across this very diverse array of cuisines. Following the success of the #CookForSyria charity cookbook, Lily Vanilli is spearheading a spin-off, featuring Syrian-inspired cakes and bakes. The book will again raise money for Unicef’s Children of Syria fun and features traditional recipes by Syrian families and modern ones from chefs including Yotam Ottolenghi, Thomasina Miers, Nigel Slater and Bill Granger among many more. It can be ordered via Amazon. There were a few shrieks when the concept created by Macellaio RC founder Roberto Costa for his new restaurant was announced. Ardiciocca will be a gluten-, sugar- and dairy-free Italian concept, with Simona Ranieri (pictured above with Costa) in charge of the kitchen – she has cooked and written about gluten-free food extensively. Located in Fulham, Costa aims for Ardiciocca to allow vegetables, fruit and grains to shine. 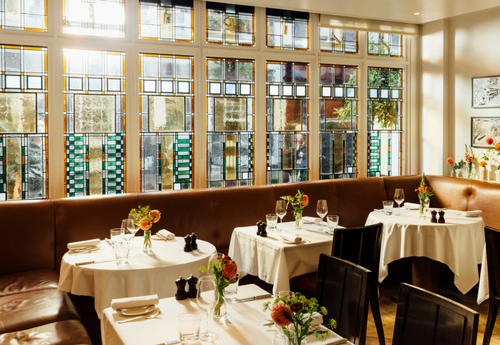 Martin Cahill is the new executive chef at Rosewood London, overseeing all the hotel food, including Scarfe’s Bar (but not the Holborn Dining Room, which is, of course, headed by Calum Franklin). 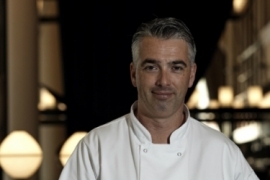 Cahill, late of Dukes hotel in Dubai and with many years at the Mandarin Oriental group, understands large-volume kitchens and says he is looking forward to returning to the London hospitality scene. When the final list of operators for Fulham’s Market Hall was announced, it was exciting to see Asma Khan. The woman behind the successful Darjeeling Express restaurant in Soho (and listee on CODE’s 100 Most Influential Women in Hospitality) is creating Calcutta Canteen for the new site, due to open this spring in the Fulham Broadway underground station. The Blueprint Café in Shad Thames, once home to Jeremy Lee, has a new chef patron. Mini Patel joins from very well respected The Pointer and has a strong reputation, having worked with Gordon Ramsay and Angela Hartnett, among others. The restaurant, now owned by D&D, has been open since 1992 and has a menu with a British focus. Anteater is recruiting. 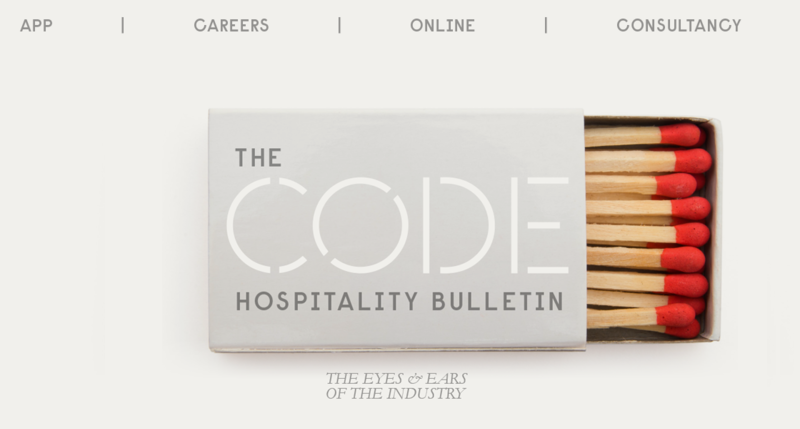 We're looking for entry-level publicists and interns to digital trailblazers for food, drink and lifestyle accounts. We love fast learners who are as happy writing press releases as they are cultivating rewarding media relationships. Enthusiasm for devising dream plans to get our clients out there is as key pitching to the press: print, broadcast, digital. 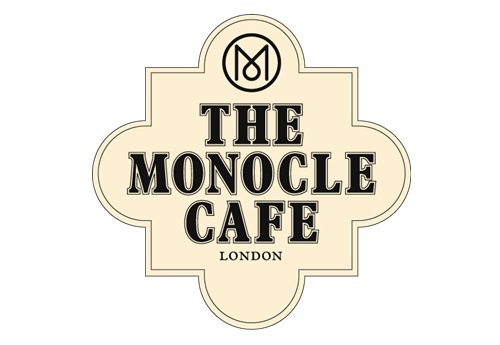 We are seeking an ambitious and energetic, hands-on General Manager to join our growing team as we expand the Monocle Café into London’s West End and beyond. 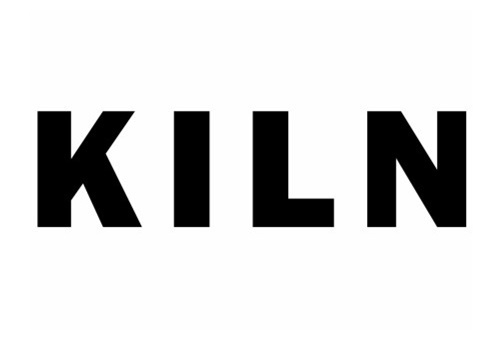 Kiln specialises in serving rural thai food cooked over charcoal. An open kitchen counter restaurant with daily changing menu and twenty or so wines by the glass and a growing collection of vinyl records on the back bar. We like to work in a friendly, fast paced environment where research, creativity and new ideas are encouraged from everyone. We want to speak to established managers who are looking to continue their progression with a company that is going from strength to strength. If you have a track record of leading successful teams at quality restaurants, this could be you. And The Dumbwaiter was one of the first people to try the Fortnum & Mason ruby chocolates last week when he had lunch in the Piccadilly store’s boardroom. The room has played host to a number of well-known faces including Winston Churchill, who celebrated his 71st birthday there. Soho House has recently appointed a wellness director, showing just how important lifestyle and fitness has become in the hospitality world. Shom Chowdhury will be working globally across the private members’ club and The Dumbwaiter hears that one of his goals by the time he’s finished is for founder Nick Jones to have an eight-pack. From Station Way to Soho. Click here for The Dumbwaiter’s best bites of the week.